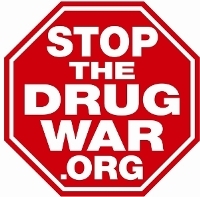 StoptheDrugWar.org needs your help to continue our programs -- like this newsletter, Drug War Chronicle -- during this most important time in the cause there has ever been. Click here for some examples of how activists around the world rely on Drug War Chronicle in their work. As our thanks for your support, we continue our full set of membership offers, some of them available with donations of $15 or greater to our organization. We also continue to offer, with donations of $35 or more, "Marijuana Legalization: What Everyone Needs to Know," authors of which were recently hired to consult with the state of Washington on implementing legalization there. "On the Limits of Federal Supremacy: When States Relax (or Abandon) Marijuana Bans," a Cato Institute Policy Analysis by Vanderbilt law professor Robert Mikos, explores the limits in federal law and resources for enforcing marijuana prohibition in states that have legalized. "Governing the Global Drug Wars," a special report by London School of Economics IDEAS, details the history of the global prohibition regime; the obstacles it poses to nations seeking to explore legalization and other reforms, and efforts by nations and agencies to transform the system into one respecting public health and human rights. Though we offer many items for $15, I hope you will consider making a larger donation if you are able, or supplementing your initial gift with a monthly one. If the gifts are not important to you, I hope you'll consider sending a donation that's just for our work. Donations can be tax-deductible, supporting our educational work, or non-deductible, supporting our lobbying work. (Note that selecting any gift items reduces the amount of your donation that is deductible -- which with a smaller gift amount can be most of it.) They can be made online on our web site by credit card or PayPal, or sent by mail to P.O. Box 18402, Washington, DC 20036. If you are donating by check, please make it payable to DRCNet Foundation (if tax-deductible) or Drug Reform Coordination Network (if not deductible). If you wish to donate stock, the information to give your brokerage is Ameritrade, (800) 669-3900), DTC #0188, and account number 781926492 for tax-deductible gifts or 864663500 for non-deductible gifts -- please make sure to contact us if donating in this way. Thank you for standing with us to stop the drug war's cruelties and meet the opportunity this time offers to make a brighter future. As recent events show: Time, and the truth, are on our side!